Class 411 4-CEPs 1550 & 1578 head away from Basingstoke on 30 August 1998 with the 09:01 Poole to Waterloo South West Trains service. 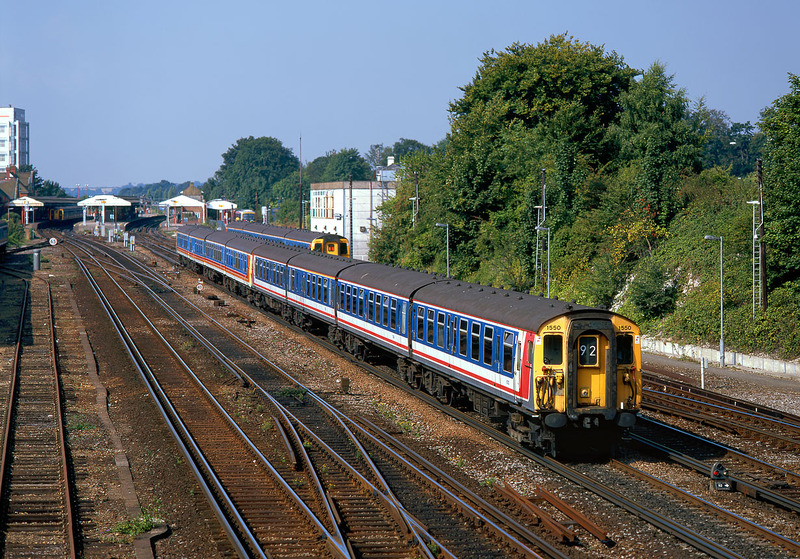 1550 retains Network SouthEast livery, whilst 1578 sports South West Train's minimal revision of the NSE colour scheme. Class 423 3552 can be seen stabled just in front of Basingstoke Signal Box.